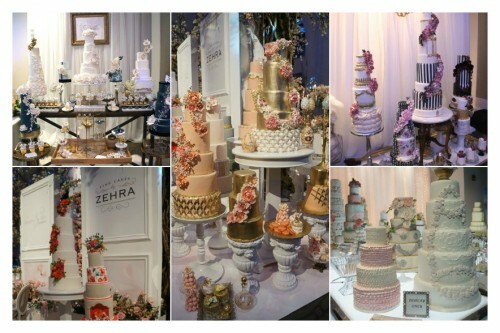 2015 marked the fourth year of the Wedluxe (@wedluxe) Wedding Show. This definitely isn’t your typical wedding show – guests are completely immersed in a world of luxury. 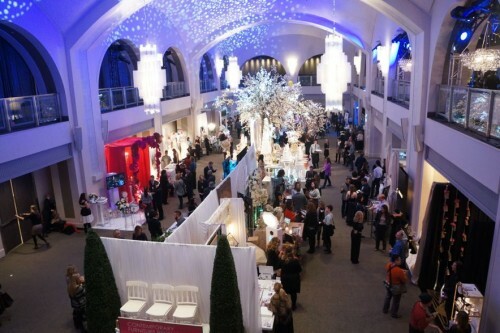 After attending this year’s event, it’s easy to see why this show has received critical acclaim from members of the luxury wedding industry across North America. It was a full day affair with over 120 incredible exhibitors, a beauty swag bag (worth $150), delicious food and live music. The event was presented by Oliver & Bonacini (@OliverBonacini), Kleinfeld (@KleinfeldCanada) and Hudson’s Bay (@hudsonsbay) so needless to say, guests were very well taken care of! The event was held at the Arcadian Court, connecting to the 7th floor of the Hudson’s Bay and Kleinfeld Bridal (of course!). The venue couldn’t have been more perfect – it’s incredibly versatile with several different spaces. The Arcadian opened in 1929 during the Art Deco movement and the geometric star-like shapes commonly found in these designs led to the inspiration for the theme of the show, “It’s Written in the Stars”. Tickets were priced at $75 each which may seem pricey compared to other wedding shows but like I said, this isn’t your typical wedding show. Here are some of the highlights from last weekend’s event. Brides, take note! 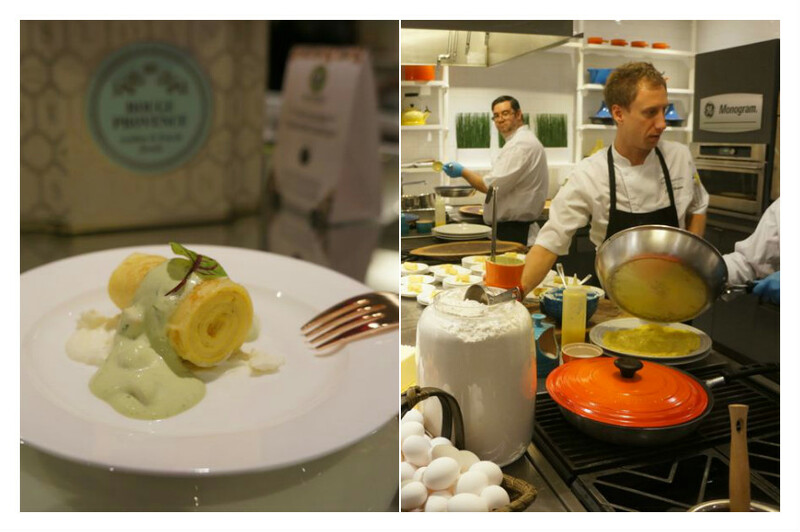 Botanique Creperie & Tea Bar: Located in the Arcadian Studio, the talented chefs from Oliver & Bonacini prepared delicious egg crepes from the demonstration kitchen as we sampled different flavours of hot and cold teas from Sloane Tea (@sloanetea). I really loved the crepes and having eaten at many O&B restaurants, there’s no doubt that they would make an amazing wedding caterer. Pearl Moon Lounge: The mezzanine level of Arcadian court was transformed into a gorgeous lounge inspired by the art deco history of the venue. Here, guests were treated to sultry live performance by singers from St. Royals (@stroyals). 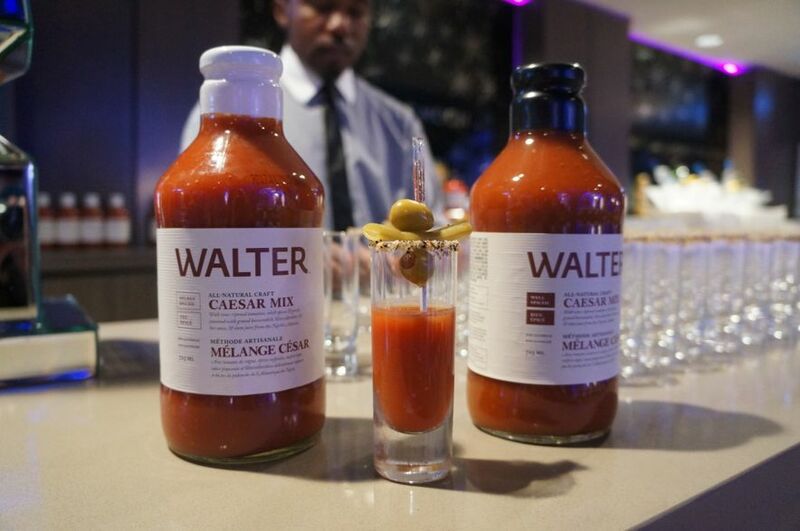 The host sponsor, Oliver & Bonacini served oysters paired with mini caesars featuring mix by Walter (@waltercaesar). 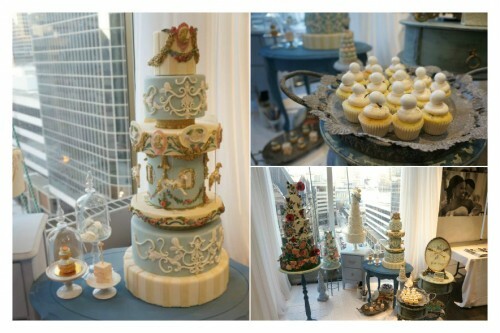 Just a little sample of what you can feature on your big day! 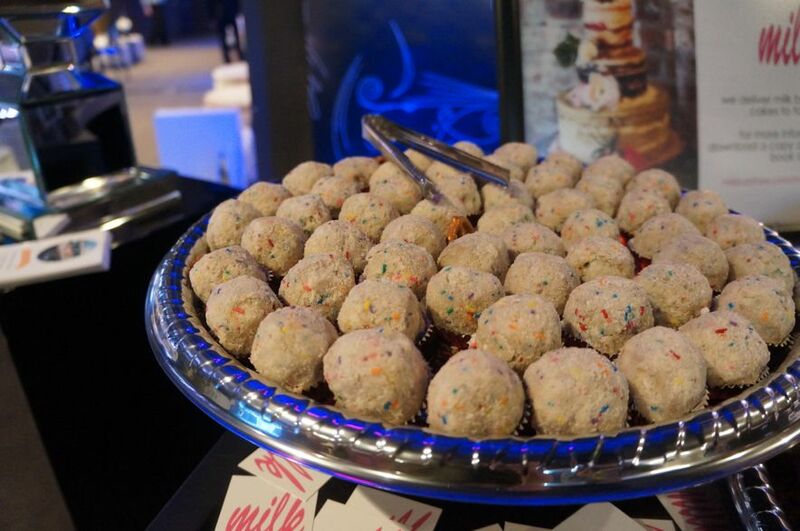 Momofuku (@momofuku) was also represented in the Pearl Moon Lounge serving up their signature birthday cake truffles. 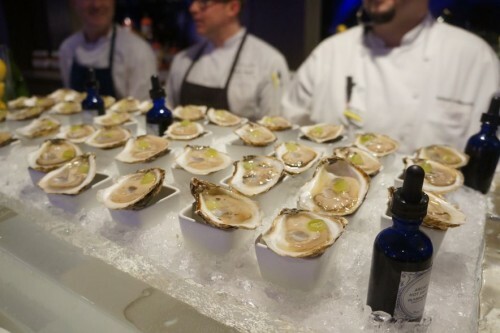 I was happy to learn that Momofuku is starting to branch out into events, weddings included! How awesome would it be to hold your banquet at Nikai or Daisho? 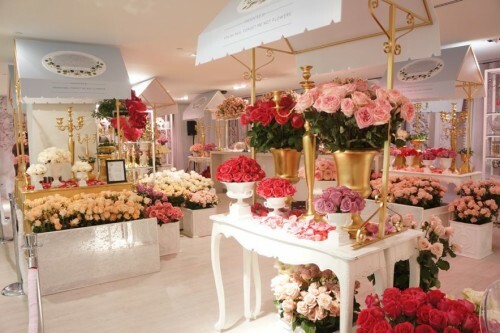 The Celestine Flower Market: The Bay’s gift registry was transformed in a beautiful flower market where all guests came to pick up a mini hand-tied bouquet. I loved the set-up which showcased thousands of fragrant and colourful roses. The “Belle-Gem” Waffle Bar: Also located on the 7th floor of the bay was the Belle-Gem Waffle Bar presented by, you guessed it, Oliver & Bonacini. 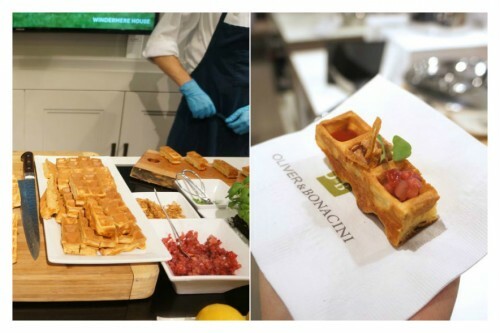 Guests were treated to sweet or savoury waffles handcrafted live on-site using waffle irons from Breville at the Bay’s demonstration kitchen. One of the bites had this incredible chicken liver mousse on it – to die for! The Shooting Star Gifting Bar: Inside Kleinfeld Hudson’s Bay, the gift bar is always one of the most anticipated and talked-about aspects of the show. This year, each guest received a fantastc bundle of luxury beauty products worth over $150! Bobbette and Belle (@BobbetteBelle): If you follow me on Instagram, you’ll already know that one of my favourite bakeries is Bobbette and Belle. You’ll find me here often for a slice of their coconut pineapple cake (my favourite!). Whenever I enter their store, my eyes are always drawn to their beautiful wedding cake displays that line their walls. 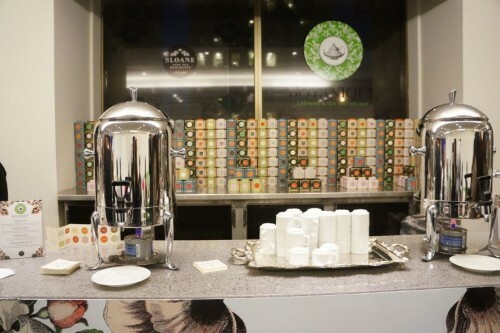 Just look at this display they had at the event. 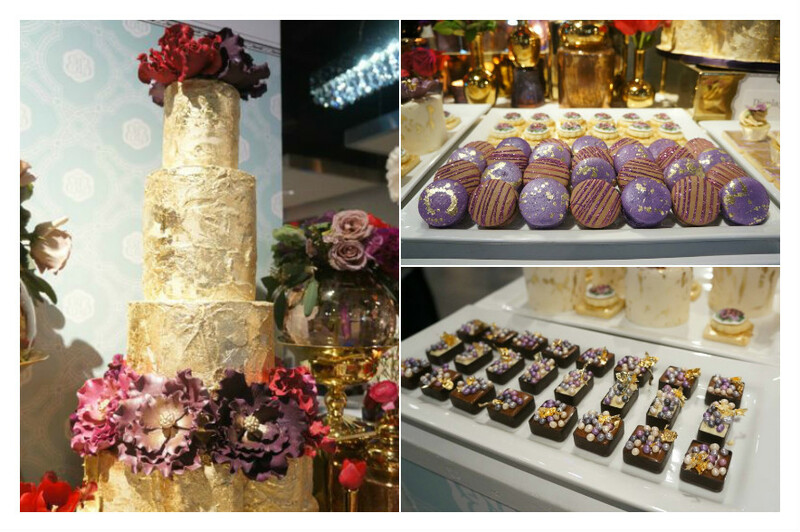 There’s no doubt that they’d be a show-stopper at your wedding! 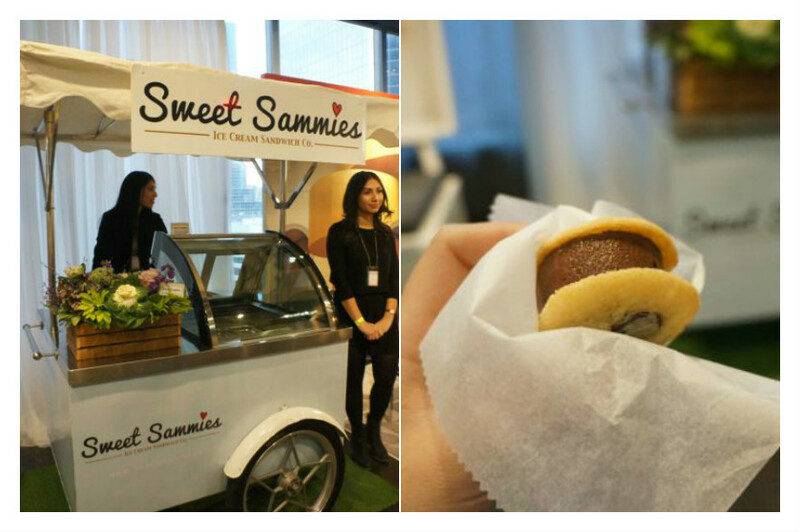 Sweet Sammies Ice Cream Sandwiches (@SweetSammiesCA): Every wedding needs something sweet but if you’re looking for something a little less traditional than a wedding cake, Sweet Sammies specializes in delicious ice cream sandwiches. The sandwiches are handcrafted with love using high quality ingredients such as Canadian maple syrup, Belgian chocolate and fresh fruits from local farmers markets. 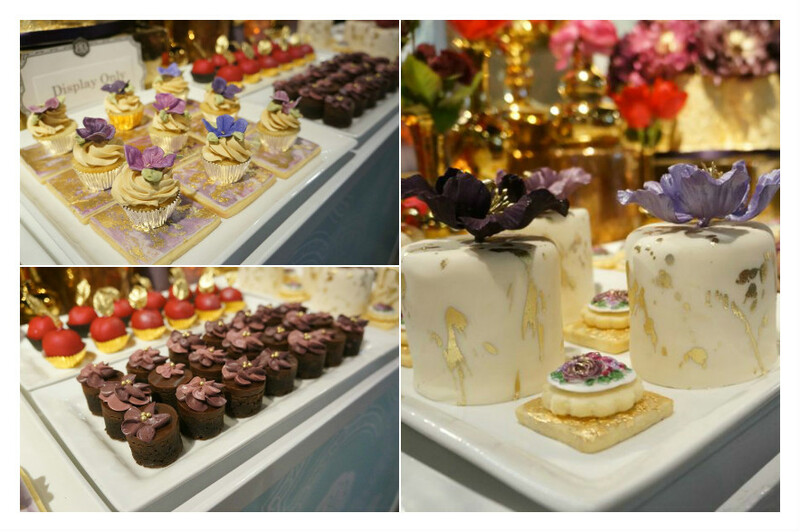 Nadia & Co (@NadiaCo1): Nadia Colella has always had a passion for pastry and art. After realizing that cakes could be a canvas, the rest was history. Her display was absolutely stunning! 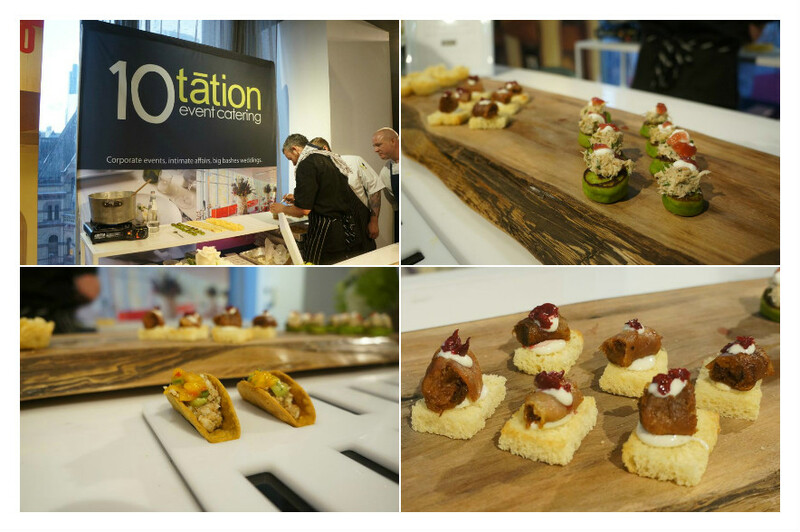 10tation Event Catering (@10tationEvents): We sampled a number of hors d’oeuvres from 10tation event catering including beef cheek and fish tacos, mac n’ cheese in a parm cup, sweet pea pancakes with dungeness crab and duck confit on a crostini. Each and every bite was delightful! 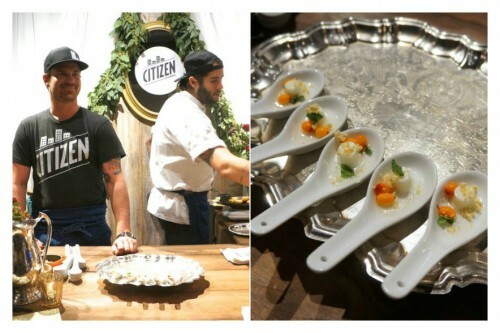 Citizen Catering (@citizencatering): Citizen Catering is about creating truly unique and memorable experiences using fresh, local and sustainable foods. You can expect items like east coast lobster rolls, maple smoked duck and popcorn panna cotta. 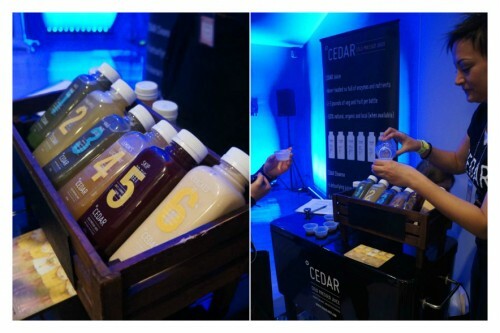 Cedar Cold Pressed Juice (@CEDARJuice): Pressed juices are all the rage these days and Cedar’s juices don’t disappoint. Juices include Kale Made Good, Pineapple Head, Tropical Kale, Lemon’s Your Lucky Day, Skip to the Beet and Cracked It. For upcoming brides, this is one event that’s not to be missed. Look out for it next year! wow. a ton of freebies! i went last year, they didn’t have as many food vendors. the flower market is neat too! – that’s new!